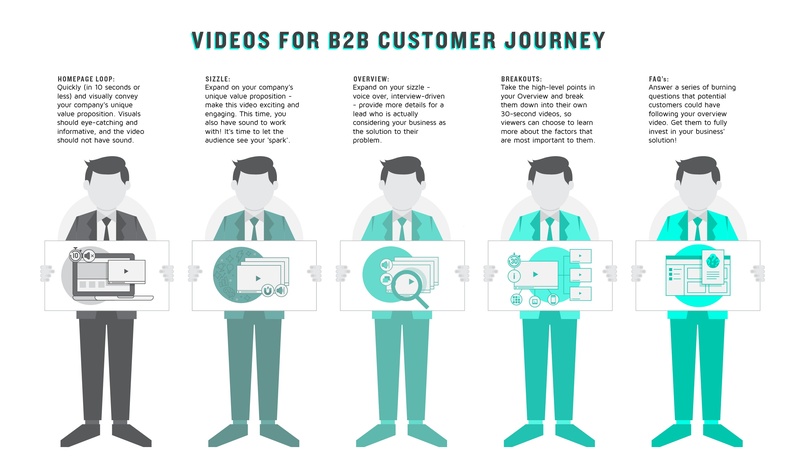 Video has officially become a preferred content type for B2B businesses. But despite this, and the fact that customers are continuously craving more and more video content, most B2B marketers feel paralyzed with the thought of having to create video content for their marketing - they don't know where to start. We find businesses are intimidated by video production, they don't know how to incorporate video into an existing marketing strategy, and ultimately, they struggle to think of ideas for content that engage their audience, and truly capture their potential customer's attention. But, Pop Video is here to help! Quickly (in 10 seconds or less) and visually convey your company's unique value proposition. Visuals should eye-catching and informative, and the video should not have sound. Expand on your company's unique value proposition - make this video exciting and engaging. This time, you also have sound to work with! It's time to let the audience see your 'spark'. Expand on your sizzle - this time, with a voice-over and in an interview-driven format. This video should provide more details for a lead who is actually considering your business as the solution to their problem. Take the high-level points in your overview video and break them down into their own 30-second videos, so viewers can choose to learn more about the factors that are most important to them. Answer a series of burning questions that potential customers could have following your overview video. Get them to fully invest in your business' solution! Did we get your wheels turning for B2B video content ideas for your business? 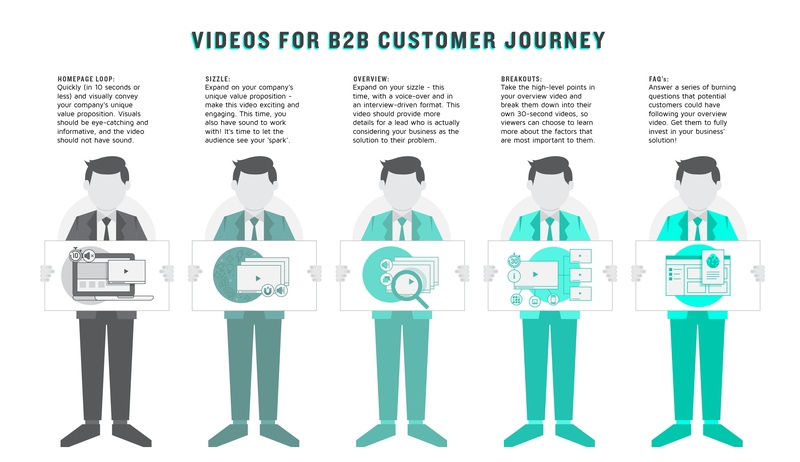 It's time to ideate and execute your B2B video content! Parter with Pop to make it happen. To learn more about why Pop Video is THE choice for a video and visual content partner, check out our Why Pop page.